Congratulations on your decision to buy a pre-owned Mercedes-Benz! No matter what model you choose, you won’t be disappointed with your luxury vehicle. Before you head to the dealership and drive off in your new car, however, there are a few things you should do. Use the tips below to learn more about buying a pre-owned Mercedes-Benz. The first step of the car buying process is research. Yes, you know you want a pre-owned Mercedes-Benz, but do you know what model or year you want? Do some research about different types of Mercedes-Benz to get a better idea of what you’re looking for. Read reviews, watch performance videos, and browse the news for stories about issues and recalls. You should also educate yourself about the lingo used to describe pre-owned cars. Common titles like used, pre-owned, and certified pre-owned often refer to the quality and inspection intensity of the car in question. The highest quality used cars are certified pre-owned. 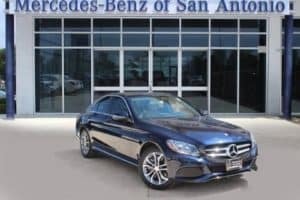 These pre-owned Mercedes-Benz in San Antonio, TX,are subjected to more rigorous inspections and can only be purchased at licensed Mercedes-Benz dealerships. They must meet specific qualifications to become certified pre-owned, such as having fewer than 75,000 miles on them and being less than 6 years old. Next, see which cars are available at your local dealership. You can usually view their inventory online by going to their website. This will help you to narrow down your options and filter the available cars by their model, year, color, price, fuel efficiency, and other factors. You should also determine just how much car you can afford. Remember to consider all the associated costs, not just the monthly payment. This includes taxes, registration fees, insurance, fuel, maintenance, and more. Estimate what you can afford to pay every month and how much the vehicle you’re considering will actually cost you. You will also need to determine how you will pay for the car and if you will need to obtain financing. Start by doing some research on the estimated cost of the vehicle you’re interested in. Kelly Blue Book is a great tool for this step. You can use the site to compare vehicle prices, estimate your monthly payments, and calculate the trade-in value of your current car. Then, decide whether you want to lease or purchase the vehicle. From there, you can decide if you need to obtain an auto loan or not. Check your credit score, gather your paperwork, and consider getting quotes from a few different lenders before going to the dealership. 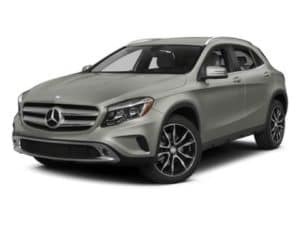 Now that you know which Mercedes-Benz you want, where you will buy it, and how you’ll pay for it, you are ready to schedule a visit to the dealership. Give yourself plenty of time to compare models and test drive your favorites. The sales staff can answer any additional questions you have about the vehicles or the car buying process.